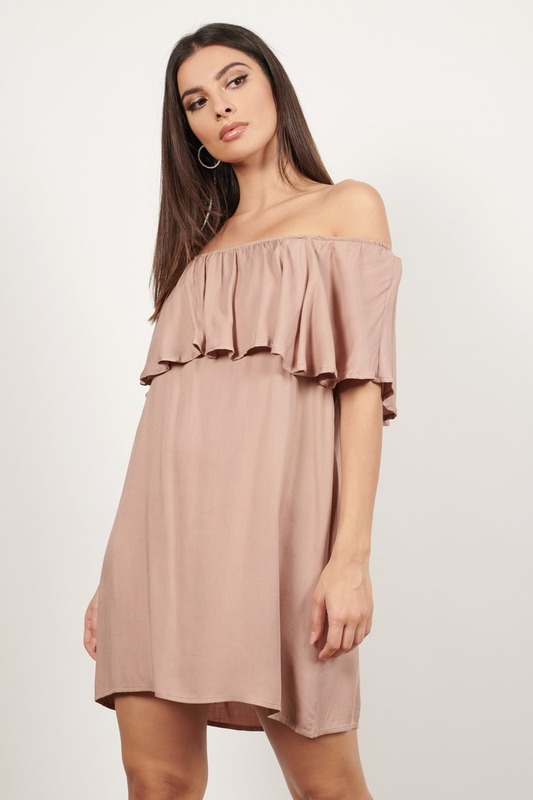 Check out Tobi's Don't Be Shy Off Shoulder Shift Dress Boho breezy in the Taupe Don't Be Shy Off Shoulder Shift Dress. 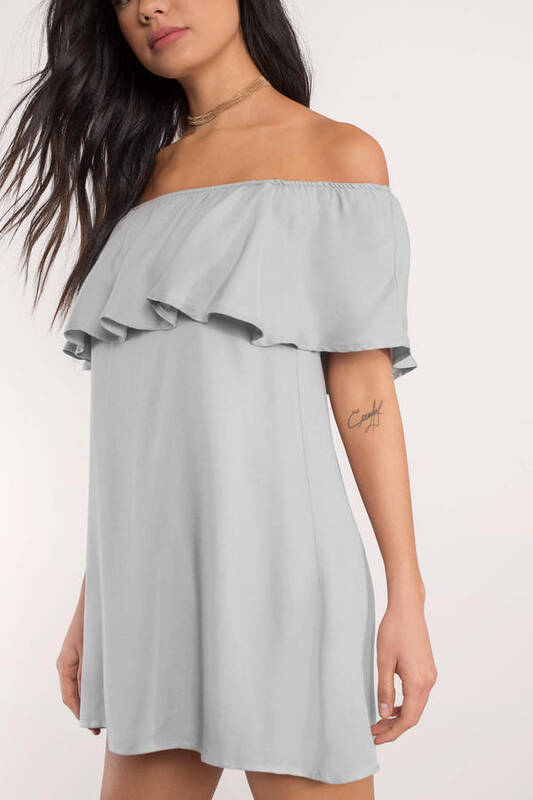 Your days out need more of this cute and effortless off the shoulder dress with ruffle detail. Dress casual with a floppy hat and sandals. Boho breezy in the Taupe Don't Be Shy Off Shoulder Shift Dress. 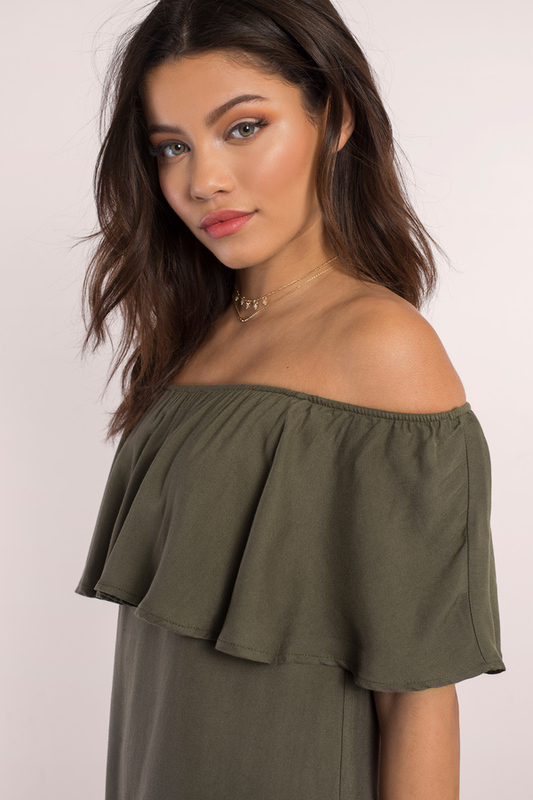 Your days out need more of this cute and effortless off the shoulder dress with ruffle detail. Dress casual with a floppy hat and sandals. 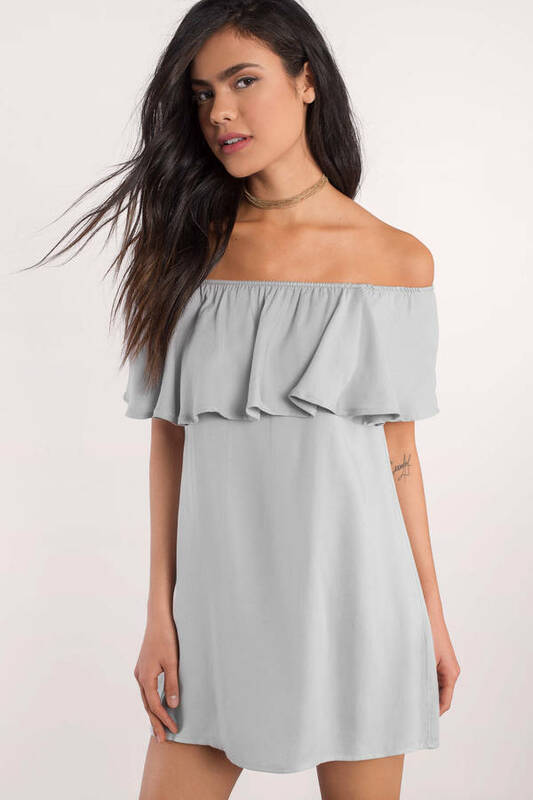 Boho breezy in the Grey Don't Be Shy Off Shoulder Shift Dress. 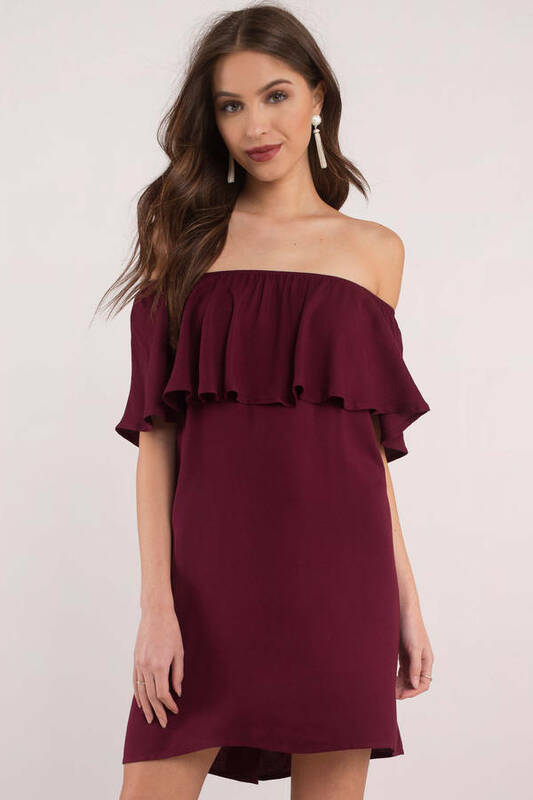 Your days out need more of this cute and effortless off the shoulder dress with ruffle detail. Dress casual with a floppy hat and sandals. 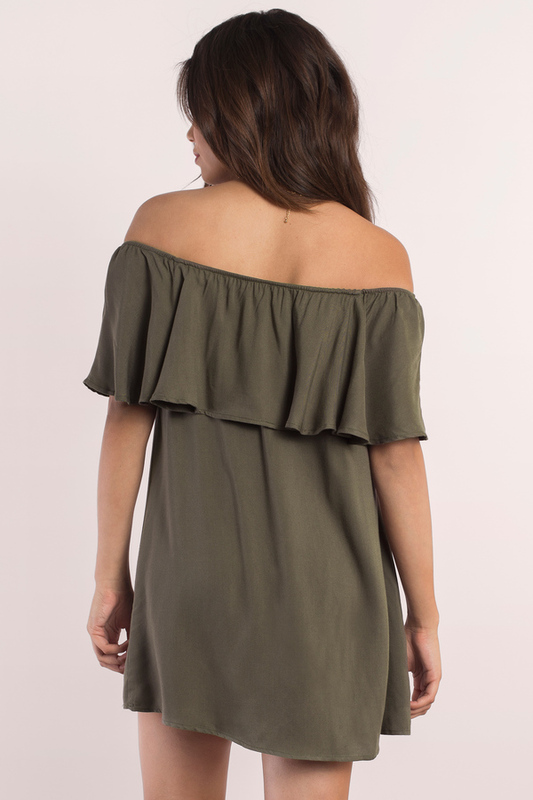 Boho breezy in the Olive Don't Be Shy Off Shoulder Shift Dress. 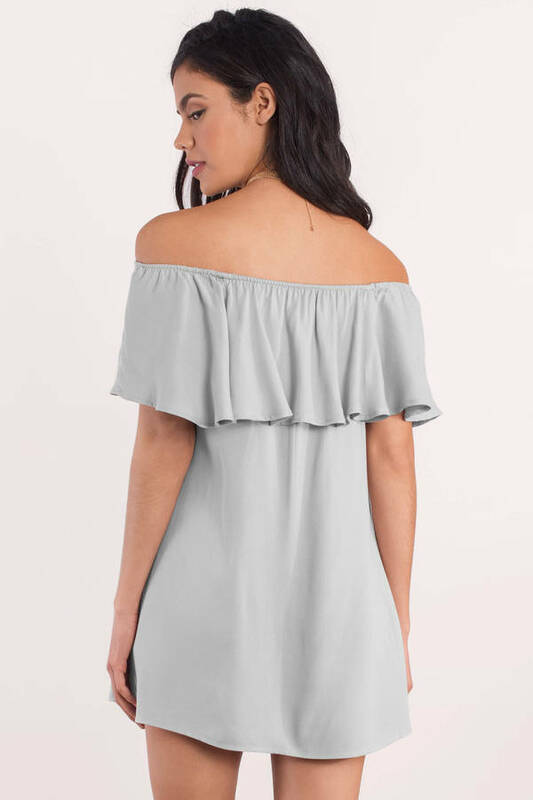 Your days out need more of this cute and effortless off the shoulder dress with ruffle detail. Dress casual with a floppy hat and sandals. 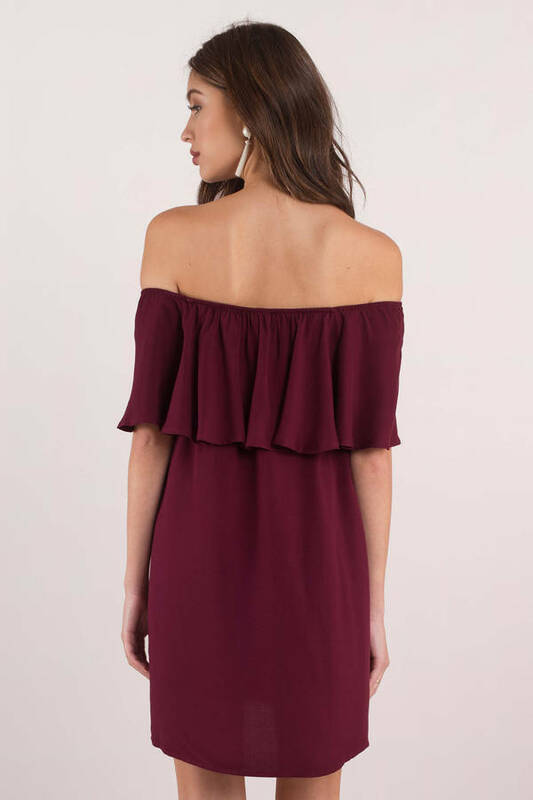 Boho breezy in the Wine Don't Be Shy Off Shoulder Shift Dress. 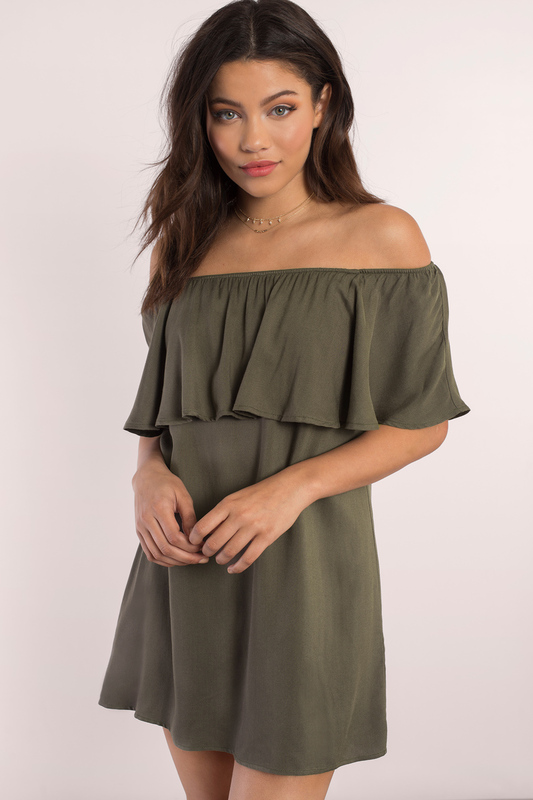 Your days out need more of this cute and effortless off the shoulder dress with ruffle detail. Dress casual with a floppy hat and sandals. Boho breezy in the Black Don't Be Shy Off Shoulder Shift Dress. 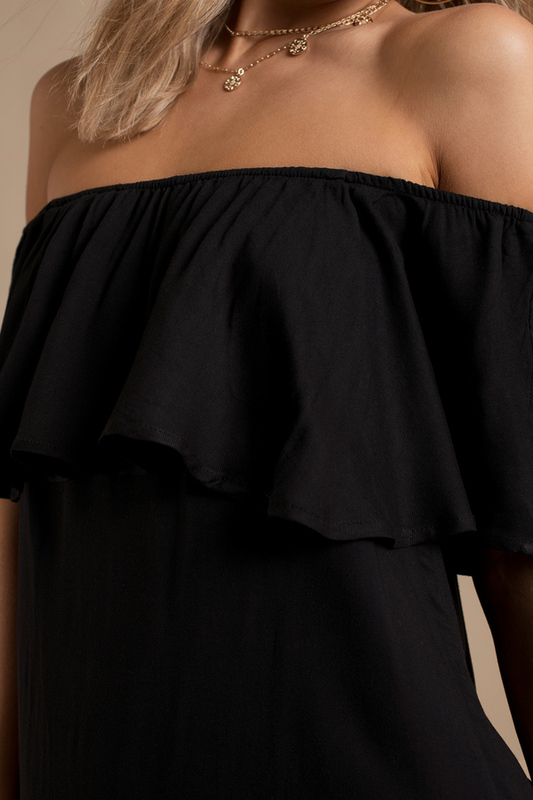 Your days out need more of this cute and effortless off the shoulder dress with ruffle detail. Dress casual with a floppy hat and sandals.